Q: How do I get a copy of the new catalog? 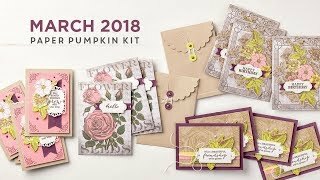 A: It’s an annual phenomena, the new Idea Book & Catalog arrives and stampers around the world drop everything to pour through the pages to see all the new products and project samples. Husbands go hungry, kids are sent outside to play, and the laundry is ignored. It’s okay, we all do it! You sure don’t want to miss out on that! Purchase The 2011-2012 Idea Book & Catalog can be purchased online or with any order beginning July 1st. Better yet, contact me today to pre-order your reserved copy and you may even be able to have it in your hands on July 1st! Schedule a July workshop and you’ll be one of the first to receive the new Idea Book & Catalog, AND you’ll get it for free. Plus, you and your friends will have the fun of seeing and creating projects with the hottest new items! 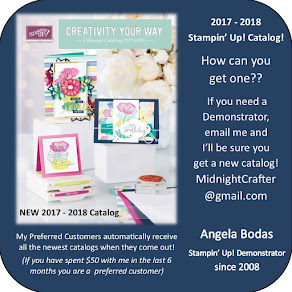 If you want to see the catalog before July 1st and you love the quality and creativity of Stampin’ Up! products, you may want to join my team! Stampin’ Up! demonstrators get lots of perks like being the first to see and order new products at a discount. Some demonstrators join as a hobby for the discount on products they love and some join to earn extra money doing something they enjoy. The Starter Kit is one of the best-kept secrets in the catalog. Why? Because when you order the Starter Kit, you get over $300 of products and supplies for only $175, and with no commitments, you have nothing to lose and a whole lot to gain. Some of the favorite benefits of being a demonstrator are obvious like the discount, earning income, access to tons of demonstrator-only resources online, and the monthly Stampin’ Success magazine. Other benefits, like the joy of amazing friendships and the sense of accomplishment that comes from sharing your creativity, are harder to measure, but every bit as valuable. I’m sure you have lots of questions about becoming a demonstrator. I’m happy to answer them for you, without pressure, so you can make the best decision for yourself. The new Idea Book & Catalog will be here before you know it, so contact me today to pre-order a reserved copy, schedule your fun July workshop, or find out more about the joys of being part of the Stampin’ Up! family. Any option you choose will ensure that you have your hands on your new Idea Book & Catalog while it’s still hot off the presses! Have a Question? Leave it in the comments section here, or contact me directly!